Bridal Secretary Makeup & Hair Design Studio is an unique source for wedding day makeup and hairstyling artistry. 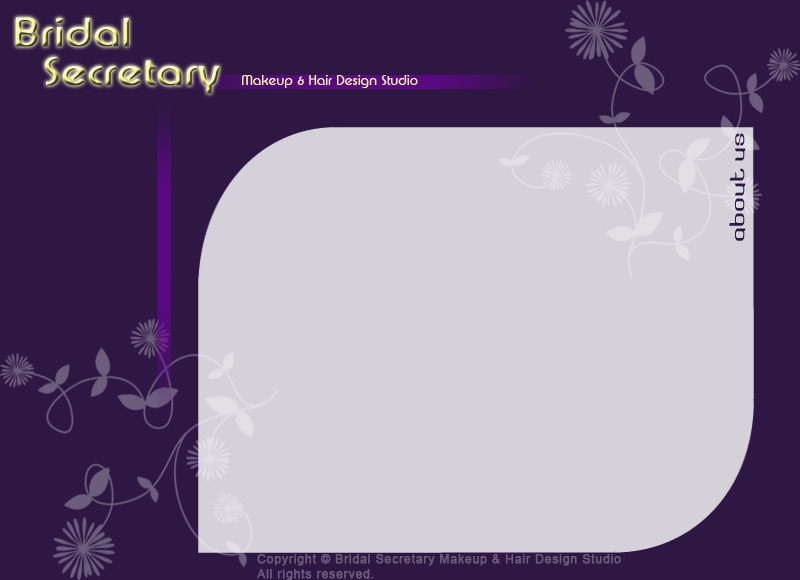 Our Bridal Secretaries also specialize in makeup and hairstyling for photo shoots, graduation/prom, and fashion events. We provide services worldwide, please ask for details. When every bride would like her wedding to be unique and creative, our experienced Bridal Secretaries will work closely with you to achieve your desired looks for your dream wedding. Our ability to combine the highest quality products, skilled techniques, and exquisite collection of bridal jewelry is what differentiates your unforgettable wedding from the others. A lifetime of unforgettable memory starts with a great makeup and hairstyling!